Welcome to your weekly roundup for June 23-30. This week we’ve got new research by Forrester, takeaways from our latest social selling summit and the perfect combination of question volume for crushing your discovery calls. Enjoy. 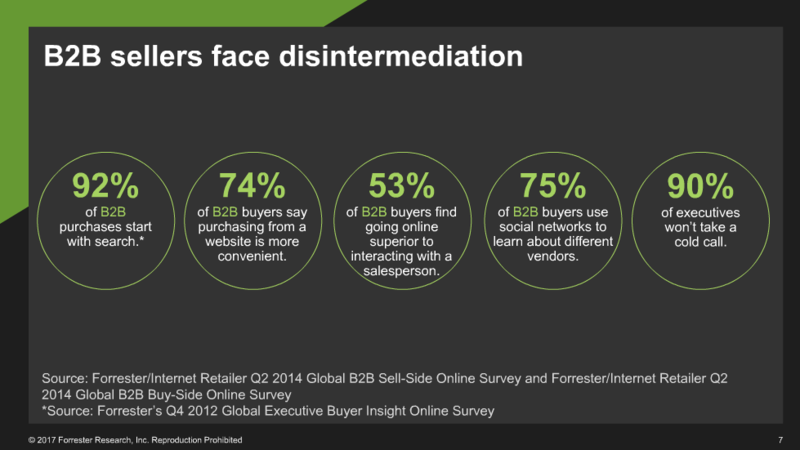 Forrester has just released new research about how B2B companies are using social media to inform their decisions. As the study reveals, most companies could be doing more to leverage social selling as a sales channel. Here are the highlights. Download the full study for more detailed insights. 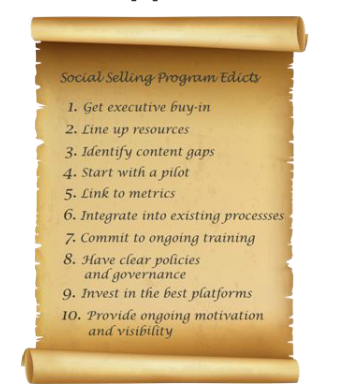 Social Selling is a priority. The study found that 98 percent of B2B enterprises see the value in social selling in the short- and long-term. Of that group, 49 percent have already developed a formal social selling program, and 28 percent are in the process of doing so. Just two percent report having no plans for a social selling program. The potential of social selling is still unrealized. The study found only 20% of marketers and sellers indicated that sales teams typically execute all of the six social selling of the social selling activities the study asked about, from developing profiles to tracking leads. *This is a summary of Forrester Study Reveals How Enterprises Are Embracing Social Selling by Hootsuite. 1) Sales professionals are not in control (if they ever were). Principal Analyst at Forrester illustrated what all salespeople have been experiencing for the past few years: B2B buyers are more empowered than ever. Because buyers are more self-directed, sales people are being required to step into a more consultative role, rather than a disintermediate one. 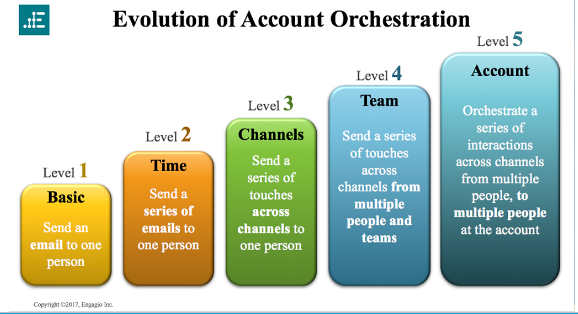 3) Email is a social selling tool too! *This is a summary of 26 Takeaways from The Social Selling Summit by Stephen Walsh. SalesLoft and Gong.io have compiled data from over half a million discovery calls. From looking at the numbers, one can see how the impact of things like question volume and frequency affect success rate. 1) The more questions, the better. Top performers ask 11-14 questions per call. 2) Evenly space questions throughout the call. Top performers ask more questions near the start of the call and leave less time for buyers to respond between them. 3) Ask more concise questions. Top performers ask more questions on key topics, rather than engaging in small talk. 4) Uncover multiple problems. Top performers discuss four problems per discovery call. *This is a summary of Questions are Key for Discovery Calls by Greg Klingshirn.